The Faculty of Education is one of seventeen faculties associated under the umbrella of the Charles University in Prague. Its primary goal is to train teachers and other pedagogical personnel for all types of schools and school systems, at various levels of study (Bachelors and Masters) and forms. 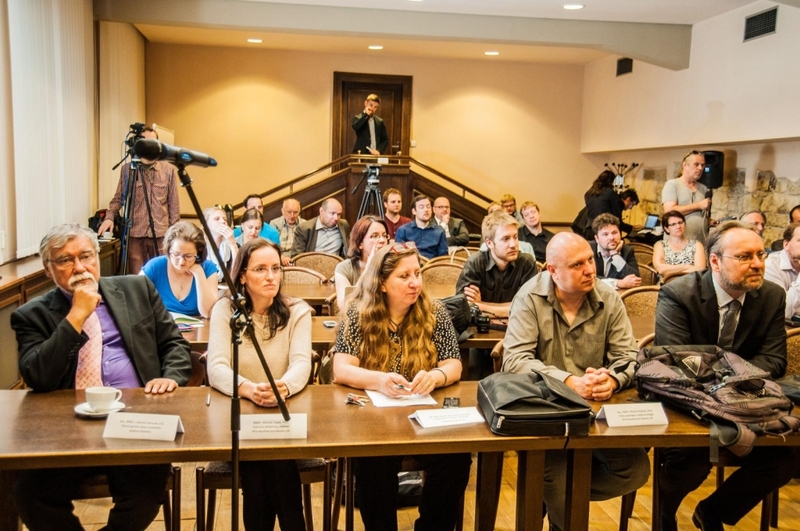 While five other faculties within the Charles University are also officially qualified to train teachers, what makes the Faculty of Education unique is the span and complexity of its educational focus. The Faculty provides university-level pre- and in-service teacher education in the following fields: Humanities, Social Sciences, Art Education, Physical Education, Mathematics and Natural Sciences. The Faculty is currently training approximately 4200 students in both BA and MA study programmes, plus nearly 10 000 students taught within a wide range of combined forms of study programmes, mainly as a part of professional teacher development. The Faculty is also opened to tuition-paying foreign students who can enrol to programmes taught in English. The Faculty participates in the international Erasmus Mundus programme aimed at facilitating student and teacher mobility. In 2006, the faculty adopted the ECTS credit system which is acknowledged in all EU countries and thereby allows for easier student mobility within the EU. The student of the Faculty of Education typically studies a combination of two subjects. The 3-year BA study programme aims to give the students substantial knowledge in the two chosen subjects, yet it does not constitute a teaching degree – the BA graduates are not officially qualified to teach. That is why the structure of compulsory and elective courses offered within programme is tailored in a way that builds up the professional expertise in the chosen subjects rather than the educational skills and teaching competences of the students. The BA syllabus consequently includes only a few courses in pedagogical and psychological disciplines. However, the syllabus also includes a compulsory motivational teaching practice which should help the students decide whether they want to continue in the follow-up MA study to earn a teaching degree. The graduates of the 2-year follow-up MA programme will have acquired substantial expertise in the professional area covered by the two core subjects of their choice and, in addition to this, they will also have developed their pedagogical, psychological and didactic competences, crucial for any teaching profession. Thus, apart from compulsory and elective courses which seek to solidify the students’ professional expertise, the MA syllabus also includes specifically tailored didactic courses and a fully-fledged student teaching practice, all of which are integrated in an organic and interconnected system. The graduate of the follow-up MA study is fully qualified to teach at higher primary and secondary schools. The Faculty of Education at the Charles University in Prague was founded in November 1946, based upon one of the first presidential decrees to be passed after the re-establishment of the independent state of Czechoslovakia, and also upon the newly adopted law which sought to establish education faculties at all universities of that day. This was the culmination of lasting efforts to ensure substantial university education for teachers at all levels, both primary and secondary. The Faculty of Education at the Charles University was officially opened on November 15, 1946 in the Prague Rudolfinum (The House of Artists), and the festive launch was attended by the Czech president, Dr. Edvard Beneš. However, the 1953 school reform succeeded in dismantling all Czech faculties of education. The newly established institution for training the teachers of general subjects was called The Pedagogical University – The Higher School of Pedagogy. Yet another reform of the Czech educational system (carried out in 1959) gave birth to Pedagogical institutes in Prague and Brandýs nad Labem which were designed to train primary teachers, while future secondary school teachers were supposed to study their core subjects at various university faculties, as had been the case before 1946. The Czech faculties of education were not re-established until 1964. It is worth mentioning that secondary school teachers of art, music and physical education were initially trained at other respective Charles University faculties while alsoattending some pedagogical and psychological courses at the Faculty of Education. The mid-1970s saw the unification and merging of the training networks of primary and secondary school teachers and the extension of the respective length of study up to 5 years. Those were rather unhappy times, as many departments were dismantled or appended to various other University faculties. Over the 50 years of the Faculty’s existence, a number of noteworthy experts in various fields have taught in its ranks, such as Cyril Bouda, V. Hrabal, J. Charvát, Otakar Chlup, L. Kopeckij, J. Plavec, V. Tardy and F. Vodička, to mention just a few.